Terry has led the Problem-based Learning component of Advanced Strategic Integrative Practice course (BAdmin650) in the MBA school at Royal Roads University since 2014. She receives high praise from students for her team building and informal style that focuses on the learners not teaching. Why you need to have social media policies. Executive Hotels and Resorts Brand Conference Keynote, November 18, 2013: Social Media Bootcamp for Hotel Operators. Hear Terry speak about the internet has changed small business marketing on CBC All Points West with Jo-Ann Roberts, February 1, 2012. Go to 5:12 minutes: Digital and interactive marketing podcast. 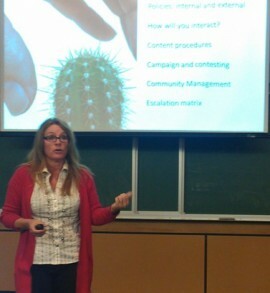 Royal Roads University speaking on integrated marketing communications and the new marketing mix. 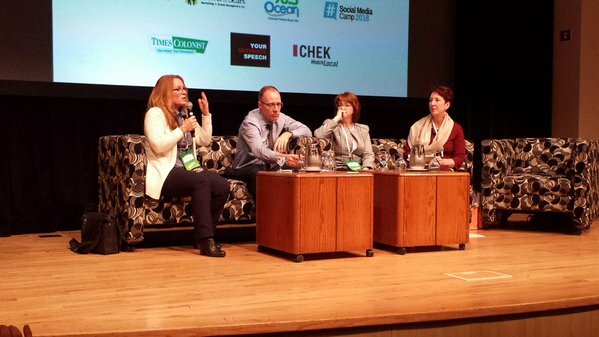 Canadian Public Relations Society, June 2012 Stories from the Trenches. How to create a digital agency. Social Media Camp 2011, Social Media Monitoring and Metrics – how much does a kilo of feathers weigh? View Terry Rachwalski’s presentations on Slideshare. How do workshops attendees rate Terry as speaker? Here is a copy of feedback on an Advanced Learning Institute event. Terry stepped in at the last-minute to conduct the training when the scheduled speaker was unavailable. Thank you for helping to make the Strategic Internal Communications Conference in Vancouver on July 10-11, 2012, a success. It was a pleasure to have you at the event, and we thank you very much for your participation. Below is a summary of the workshop evaluation forms. 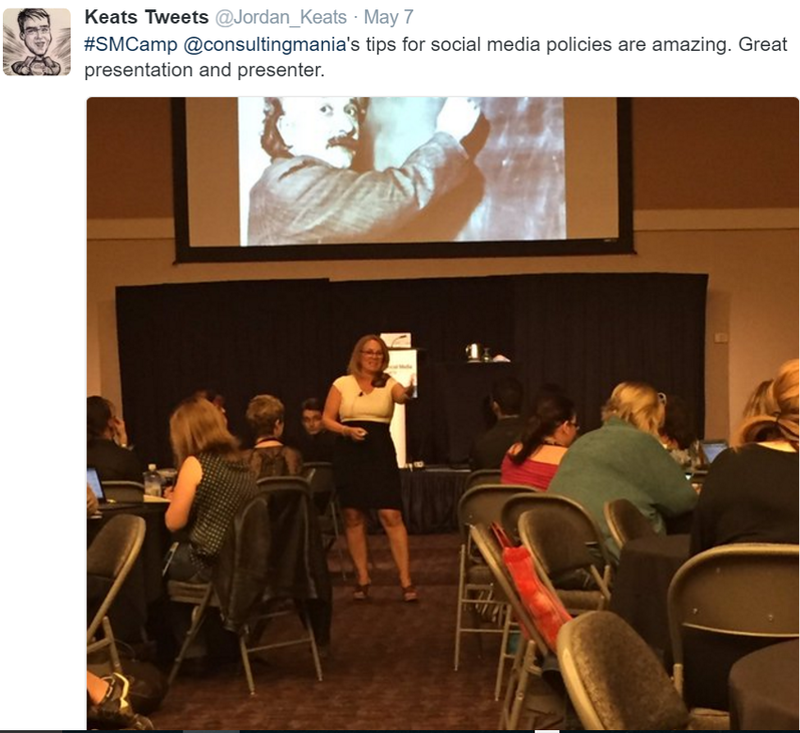 You conducted Post-Conference Workshop C, How To Make The Most Out Of Social Media: A Step-By-Step Process For Using Internal Communications To Advance Your Brand From The Inside Out, on July 12th. Your average rating for the workshop was 4.89 — Topic 5.00, Content 4.90, Presentation 4.90, Workshop Leader 5.00, Extent which expectations were met 4.90 (on a scale of 1 to 5, where 5 is excellent). Terry was very passionate and knowledgeable. She was very engaging and offered insight and practical takeaways. I wish all of the sessions were like hers! Terry did an excellent job. 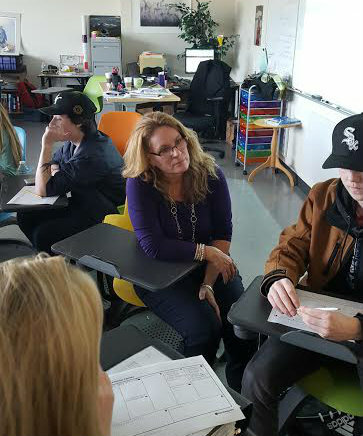 I thought Terry did a great job working with the group to address their individual needs, while maintaining the overall objective of the workshop.